Home>Moped, motorcycle, 103, 51, CIAO, ...>Aesthetics and chassis moped (Peugeot 103, 51, FOX, mob ...)>Rim, tire, tube, shaft, wheel bearing ... For auto-cycle / mob>Rims, moped, scooter ...>Rim, front wheel GREY + drum, bearings, shaft ... original PEUGEOT 103 SPX 3 sticks helix 16 "
Rim, front wheel GREY + drum, bearings, shaft ... original PEUGEOT 103 SPX 3 sticks helix 16 "
The top to get on your 103 or adapt your 51 !!! Out of production! 145,21 € 145.21 tax incl. 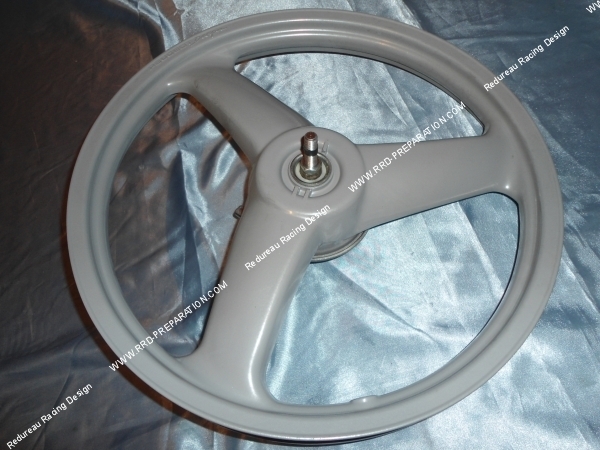 Here is the original front rim for PEUGEOT 103 Spx and many other model. This rim is of course in gray painted aluminum varnish for optimal protection. 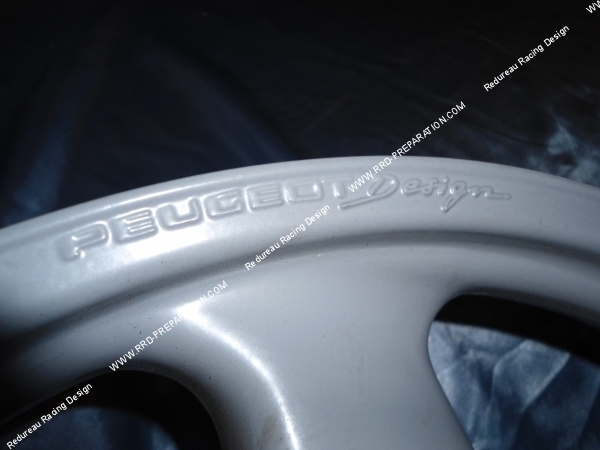 This rim is signed Peugeot Design, this small detail gives it the final touch racing. 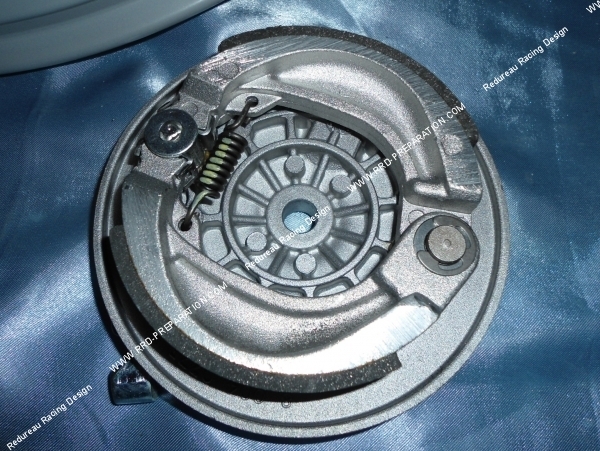 It is of course sold with its axis, wheel bearing, the drum brake, brake system, 2 nuts and 2 washers. 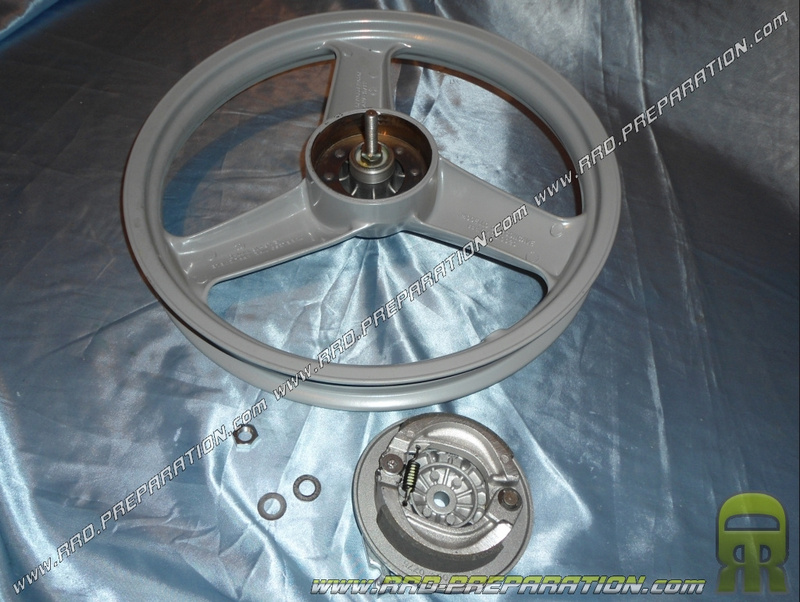 § wheel, rear wheel GREY + drum, bearings, shaft ... original PEUGEOT 103 SPX 3 sticks helix 16 "
Rim, rear wheel GREY original PEUGEOT FOX 16 "
Rim, front wheel GREY original with brake and axle PEUGEOT FOX 16 "